Well, we have a stunning new page from Cademus is Lord to show you all! 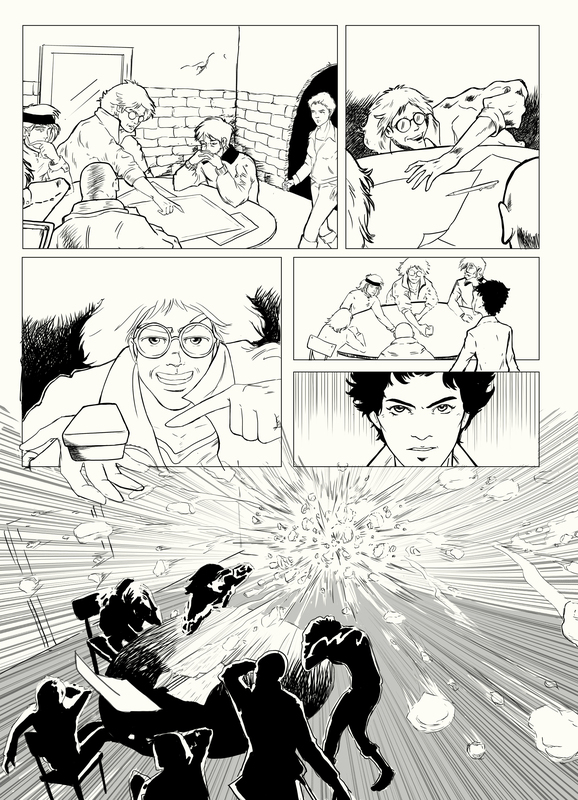 This is one of our upcoming comics written by Richmond Clements with pencils by Elena Vitagliano. As you can see this is going to be an action packed read, there’s a huge explosion in the first few panels! And plenty more where that came from. Set in an unrecognisable future where the Knights of Cademus have absolute power we follow Efem, an Eye of Cademus, as she spies on rebel pockets of unbelievers in the city. Her beliefs are shaken to the core by an alarming discovery that sends her on a journey to find the truth… At any cost. We’ll have a few more pages for you to look at as they come in. We are very excited about this story as it’s a new direction for us.